Shrutee is part of the Consulting Services team, Delhi, and leads engagements with corporate and strategic account clients. She manages a team that works with various implementation partners and NGOs to create long term sustainable impact. Her role demands her to manage customer experience, define strategy and create valuable outcomes in the ecosystem. 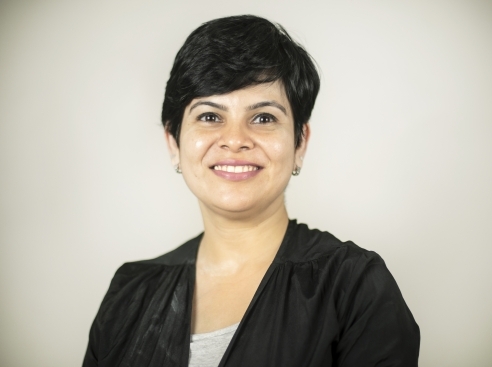 Before Sattva she has had 16+ years in diverse corporate domains – banking, product management and consulting. Her key areas of expertise are Operational Excellence; Process Re-engineering, Programme Management, Coaching, Relationship Management & training. She has worked with senior leaders and operations staff to understand cultural dynamics, manage expectations, streamline processes and deliver results. It is her belief that the social sector needs some of these skills to streamline and structure their efforts to create impact and value. At Sattva, Shrutee has worked with the largest education non-profit in India to co-create models to recognise needs of middle management govt officials who are responsible for the policy and implementation at schools. She also worked closely with the client’s programme team to run pilots and gather relevant inputs from teachers and community on teaching practices, child engagement, good practices and challenges. Shrutee is a post graduate in computer applications from Madras University and an IBM certified Lean coach.